Create hope, and empower healing. 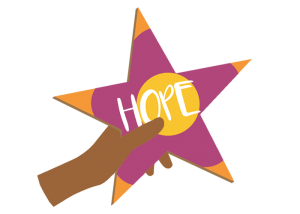 Your Box of HOPE order helps to create temporary art installations in communities impacted by tragedy AND fund Stars of HOPE community healing arts projects. $100 with free UPS shipping to you. 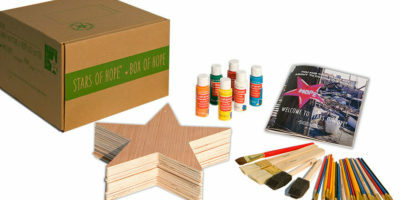 Each Box of HOPE contains 15 wooden stars, 6 bottles of acrylic paint, 25 assorted paint brushes, instruction booklet and a reusable box to ship. 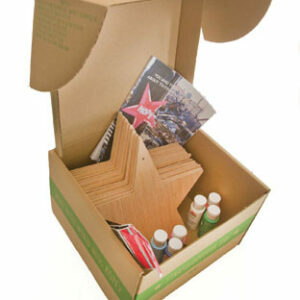 Perfect for large family gatherings, scout group activities, corporate volunteering or school service projects. Orders ship in 1-2 business days. Your tax-deductible charitable donation supports Stars of HOPE and New York Says Thank You Foundation*. $45 with free UPS shipping to you. 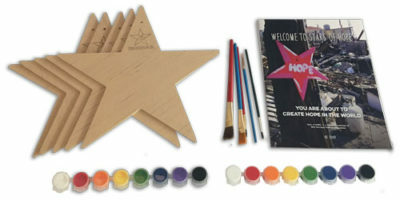 Each Mini Box of HOPE contains 5 full-size wooden stars, 16 colorful paint pods, 8 assorted paint brushes, and instruction booklet. Perfect for family paint projects, snow day activities, paint and sip parties or any day you want to create hope! Orders ship in 1-2 business days. 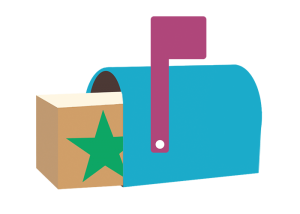 * Your purchase is fully tax-deductible (501c3 #20-1554830) once you create your Stars of HOPE and send them to a Stars of HOPE Hope Bank. If you keep the materials for yourself and do not fulfill the charitable intent of the program, only $36 of your Box of HOPE or $13 of your Mini Box of HOPE purchase price is tax-deductible. PLUS, sales tax in FL, IA, OK, NY, and PA. Sorry, no P.O. Boxes. Please email us at info@starsofhopeusa.org for more information. 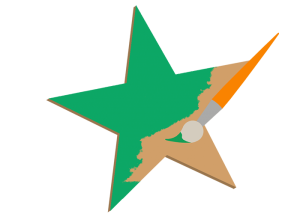 Transforming tragedy into hope... one star at a time.